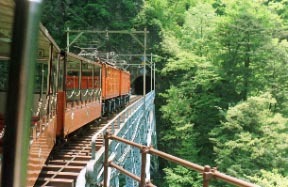 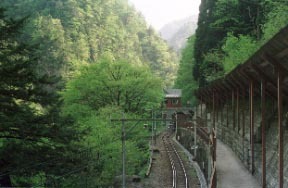 About 20 km in full length is run for a scenic spot "Atobiki-bridge" between a cross-over truck train, Unazuki - a Keyakidaira. 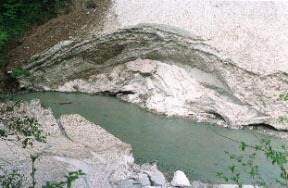 It becomes an avalanche from the kanetsuri station opposite shore "Kurobe settled snow" and 1970 m of 100 Mt. 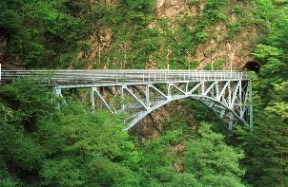 Nuki on the 400-m Kurobe river, and falls and deposits at a stretch. 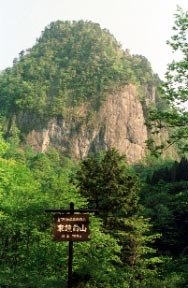 A kanetsuri hot spring complete view and a center are Ryokans.